Electronic cigarettes that you carry in your pocket and use while you’re out and about may be in fashion at the moment, but the fact is that those smaller devices, with their small tanks and weak batteries, are never going to be able to give you a strong vapor. In order to get a better-quality vapor, you need to think about investing in a more powerful vaporizer; and one of the best ways to be sure of that quality is to invest in a desktop vaporizer. First and foremost, the best desktop vaporizer can set you back hundreds of dollars, so you should only invest in one of these top of the range machines if you are sure that you will use it frequently. 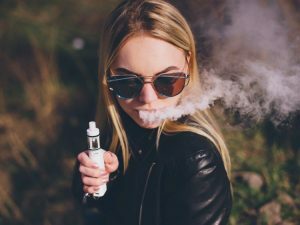 There are cheaper desktop vaporizers which still produce a powerful vapor, but which might be more suited to those who are moving on from electronic cigarettes. While desktop vaporizers are designed to be used in one place, most brands provide their own carry case, allowing you to take your device where you go — although it is not a good idea to try and use them when you are actually on the move. If you are looking for variety and flexibility in your device, then the Plenty by Storz & Bickel is the best desktop vaporizer for you. This range plenty-vaporizerof vaporizers is one of the few that allows you to vaporize liquids, dry herbs, and extracts. So whatever your taste, the Plenty range of desktop vaporizers will be able to accommodate it. In addition, the smallest Plenty device (which also happens to be the cheapest) is much more portable than your average desktop vaporizer. Ideal for those who travel a lot, or who like to use their vaporizer when socializing. The vapor produced by all the Plenty desktop vaporizers is very strong, but the design forces the vapor through a metal coil before getting to the mouthpiece which helps to cool it before you inhale. Good temperature control is vital in a device that aims to effectively vaporize liquids, herbs, and extracts, and in that respect, the Plenty does not let you down. The temperature settings have a wide range, and the control is easy to manage and allows for precise changes in temperature depending on the scenario. This is the best desktop vaporizer for those who are interested in style and substance. The Vapir Rise 2.0 looks great — with a temperature and fan control interface that wouldn’t look out of place in a futuristic spaceship. However, this device is much more than just a pretty face. With the Vapir Rise 2.0, you get the choice of inhaling your vapor either through a bag or through the more standard whip design. This is a particularly powerful desktop vaporizer, ideal for those who enjoy social vaping as you can fit up to four whips at one time, allowing everyone to enjoy the strong, smooth vapor without the inconvenience of passing the vaporizer around the room. If you are in the market for a high-end device, then the Herbalizer is far and away the best desktop vaporizer you can buy — although at $600 sidevapeit does not come cheaply. Vaporizing both oil concentrates and wax, and with the choice of bag or whip for vapor delivery, the Herbalizer is great for those who want flexibility from their vaporizer. As well as producing a strong vapor for inhalation, you can turn down the settings and use it to fill your room with a pleasant aromatherapy scent. Temperature control is simplicity itself. Not only are the controls easy to use, but the Herbalizer evens remember your last temperature setting — particularly useful if you are a creature of habit when it comes to vaping. The device heats up to temperature in just 20 seconds, regardless of what setting you have chosen. No waiting around for your vaporizer to start vaporizing with the Herbalizer. Finally, the Herbalizer even looks good. Its sleek, futuristic design hides secret compartments in the lid where you can find cleaning brushes and equipment, as well as space to store extra bottles of oil. In fact, the only drawback is that as the Herbalizer is such a powerful and solid piece of vaping kit, it isn’t the most portable of desktop vaporizers. But if you invest in one of these, all your vaping friends will be sure to want to come to visit you anyway.